We know that most people have not tried Virtual Reality (VR). I have been gaming with our precious senior citizens since 2009. Started out with chair exercise classes at my neighbor’s home, a senior living facility. We want local businesses to bring us into their place of employment or a holiday party. We want to demonstrate for your staff the power of VR. Let us share our product with you & the staff. Your clients. Is your company interested in being a partner/sponsor with a reputable and stable charity serving the Phoenix community for 4 years now? Partnering with our organization will show your commitment to the well-being and enrichment of Phoenix youth and senior citizens lives. We currently have 20 area senior centers which we provide our services, and we are always adding to that list. Our program provides a compassionate solution to concerns that affect every community. Senior isolation and decreasing mobility is a very real and heartbreaking issue for our senior citizens. In addition, the gap between today’s youth and their elders is ever-widening. Our Intergenerational program addresses both issues directly. We have cooperation with local high school/college volunteers, along with our staff, for visits to our area senior centers. 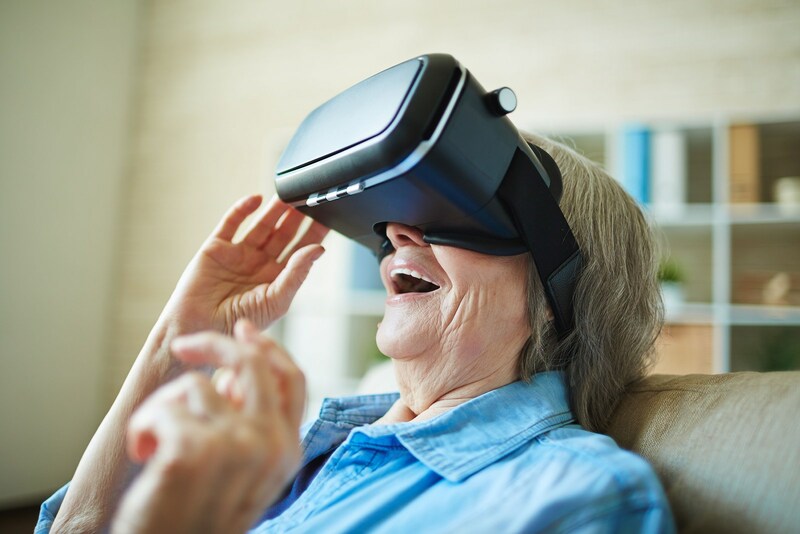 Today’s technology provides an exciting way to both bring together our youth with seniors, and facilitates mobility exercises which were previously not available to seniors. We have something for every level of mind activity. In addition to increased mobility, the quality of life of our seniors is improved from the interaction on a regular basis with new faces & exciting visitors from our younger demographic (high school & college volunteers). Your donations are much needed. We invite you to learn more about our program, and upon receiving your inquiry, will happily forward you our full program details. Help us reach our goal for our services to reach every assisted Living Facility, independent living facilities & private residence anywhere in the state of Arizona. Every month we feature one of our partners with a highlighted banner on our website homepage, and around the community. We are proud to announce our 15,000 followers on social media. We are great promoters on social media & look forward to highlighting your company on a regular basis.